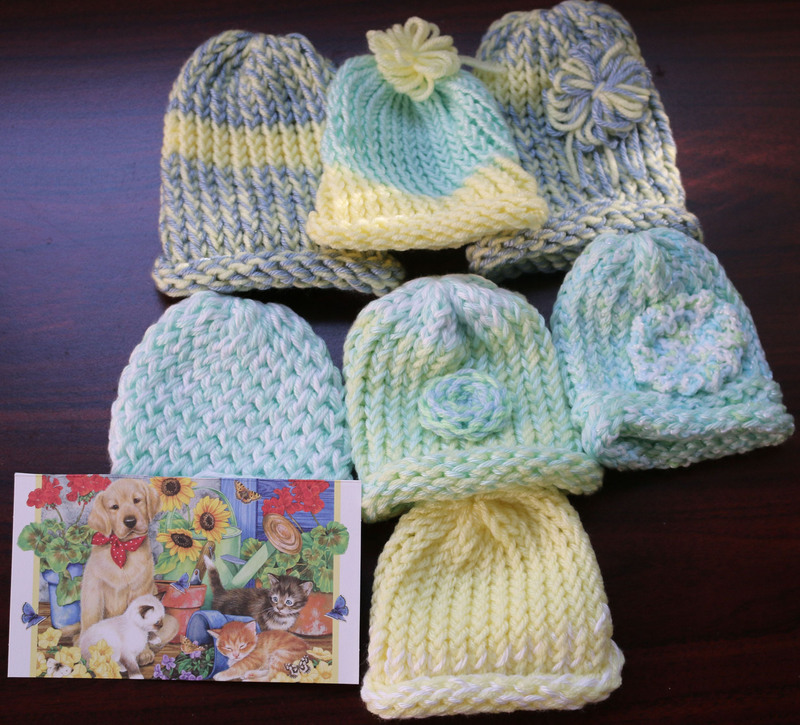 We recently received a box full of hats from Sheila in New York. 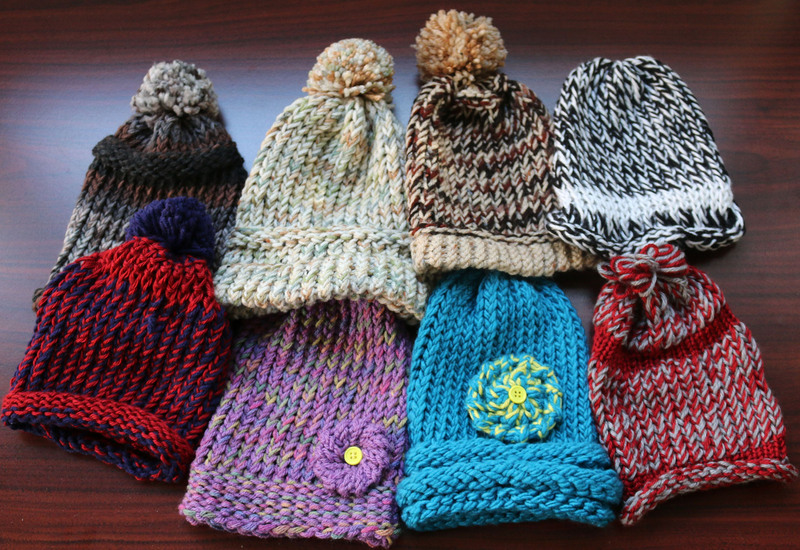 Sheila told us that she is a new to loom knitting but was looking for a way to make a difference! We are very impressed with Sheila’s skills on the loom! These hats are fabulous! The colors and brims, embellishments and pom-poms- just wow, we are impressed! Thank you from the bottom of our hearts! We wish you well, Sheila!